Canadian miner Nevsun Resources has accepted a buyout bid worth US$1.41 billion from China’s Zijin Mining Group, after Nevsun rejected multiple hostile bids from rival Lundin Mining Corp.
Gold, copper and zinc-focused Zijin will offer C$6.00 per share in cash for Nevsun, representing a premium of around 21% to Nevsun’s close in on the Toronto Stock Exchange (TSX) on Tuesday. Zijin’s all-cash offer is also 26% above Lundin’s C$4.75 a share cash bid, the most recent of five rejected proposals to buy the company. After the bid was accepted, Zijin said it plans to rapidly develop Nevsun’s high-grade Timok copper project in Serbia, pledging to invest $1.26 billion in the operation. The Chinese outfit will also look to extend the life of a copper and zinc mine in Eritrea. 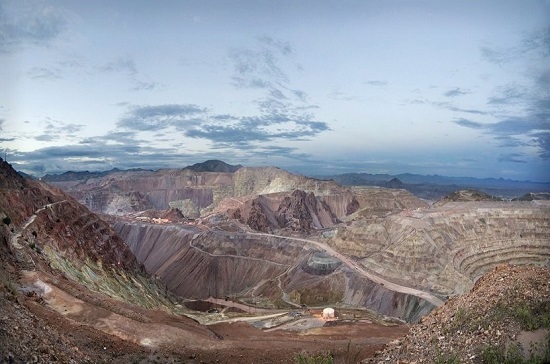 Increasing demand for copper from the power generation and electric vehicle industries has miners scrambling to acquire copper reserves, with various forecasts predicting tight supply for the metal used in cables and wiring in the coming years. The spot price for copper sank to a 13-month low on the New York Stock Exchange (NYSE) last month, instigating fears of a potential global economic slowdown. Copper is often considered a leading indicator for future economic trends due to its application in a number of different sectors, including construction, consumer products and manufacturing.